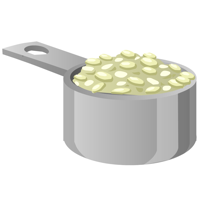 The very simplest way to cook rice, is simply by boiling it in water — what could be easier than that! 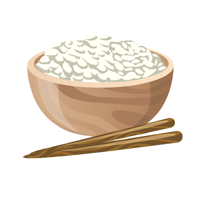 We’ll kick off the Glitch Cookbook with a look at one of the most common foodstuffs in the world — rice. It’s the principal food for around half of the world’s population, and for many people is their primary source of energy. It was first cultivated around nine thousand years ago, and now has a well-earned place in our daily diet. Most rice that we come across is Oryza sativa, or Asian Rice, although you might also find some of the less common Oryza glaberrima, or African Rice.